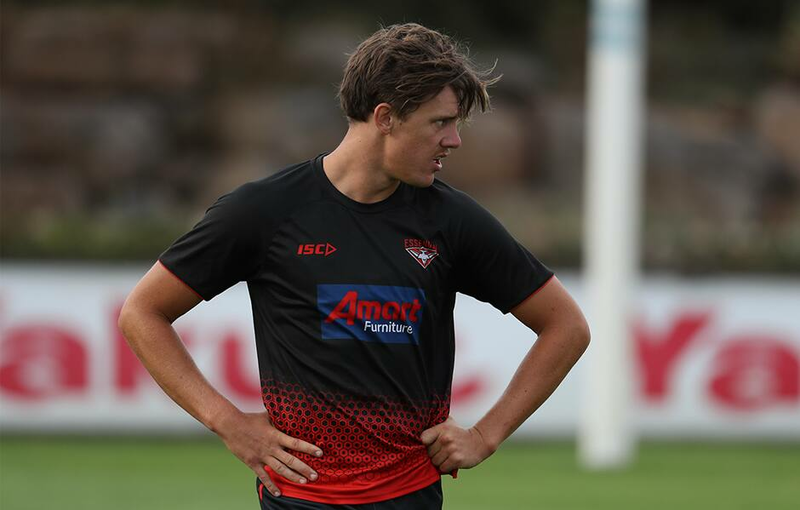 Preparations for the 2019 VFL season are in full swing for the Bombers, as they look to build on an impressive 2018 campaign which saw them reach the preliminary final. Though yet to finalise its 2019 squad, Essendon VFL will be guided by senior coach Dan Jordan for the second successive season, while reigning best-and-fairest winner Aaron Heppell and skipper Heath Hocking will again don the sash. Former Essendon fan favourite Ricky Dyson will be an exciting addition to the coaching panel, which also includes fellow assistants Ben Patrick and Matt Firman. The Bombers kick off their VFL season in an away game against Frankston on Sunday, April 7. Below is a selection of the club's images from training at The Hangar this week. New assistant coach Ricky Dyson. New assistant coach Matt Firman. Danny Younan attempts a grab. Ricky Dyson offers some words of wisdom.